I have been on a quest for the best pencils for years now because my pencils kept breaking and cracking in the pencil sharpener. 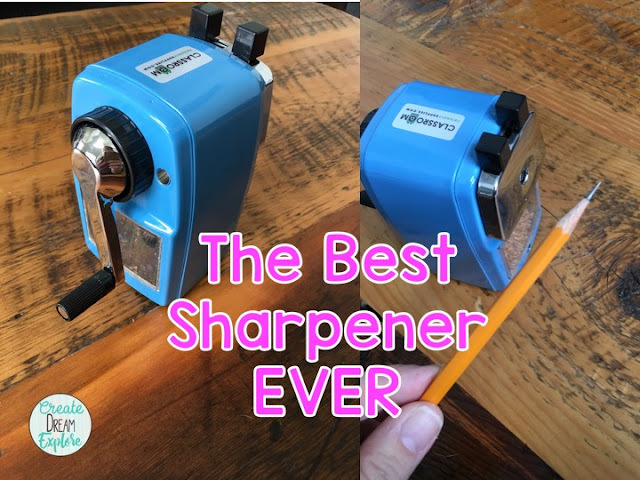 I didn't think the sharpener was the problem because I tried several different ones. 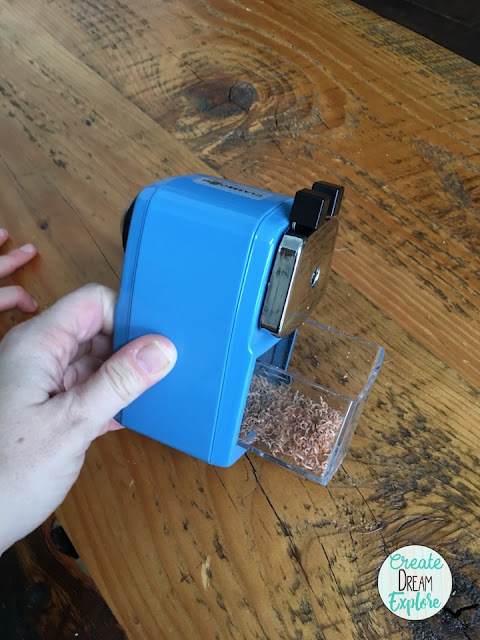 I went through 3 electric sharpeners that died from overuse and on top of that I hated the loud sound while everyone was trying to work. Then I found THIS pencil sharpener! 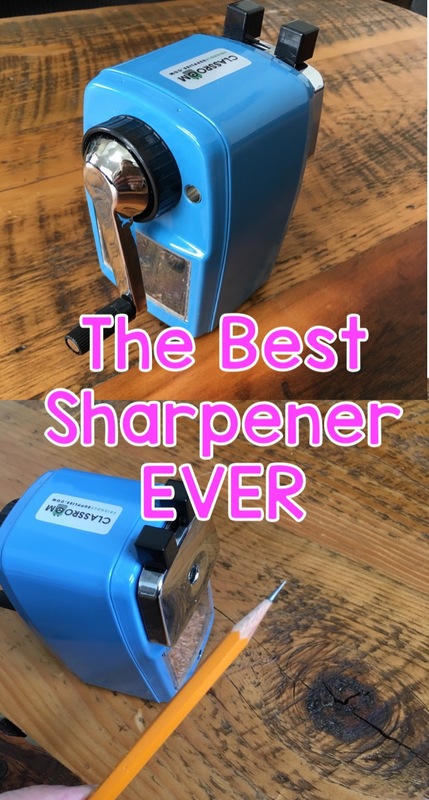 It took me a minute to figure out how to work it because you have to pull the little silver piece out on the front but once I figured that out I couldn't stop sharpening pencils. Does anyone else get as excited about a sharp pencil as me? This sharpener honestly makes the sharpest pencils I have ever seen and on top of that they come in the most fun colors! Once you stick the pencil in you need to turn the crank. 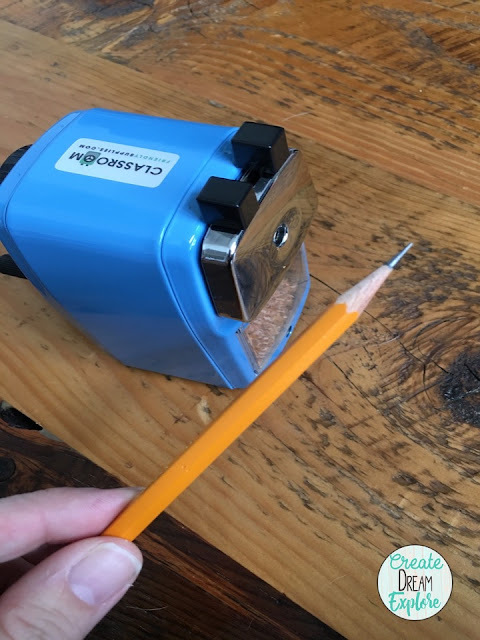 If you're sharpening a dull pencil then it only takes about 4-5 cranks but a brand new unsharpened pencil takes about 12 times to get your pencil sharpened all the way. Look how sharp it is! It's a thing of beauty! The shavings are easy to clean out too. You just push the little plastic holder out and dump it out. 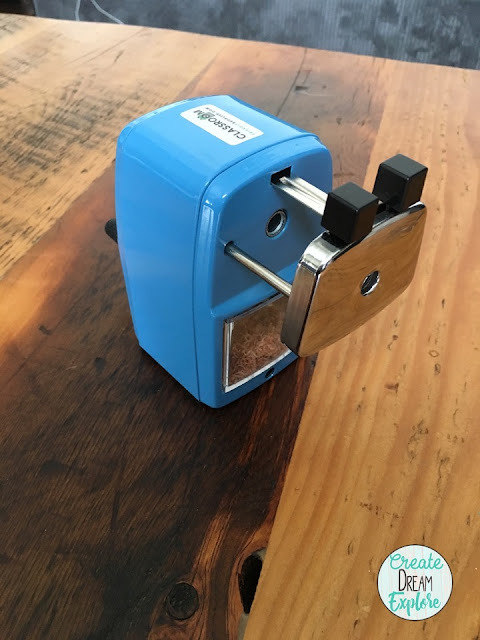 The pencil sharpener is from Classroom Friendly Supplies. 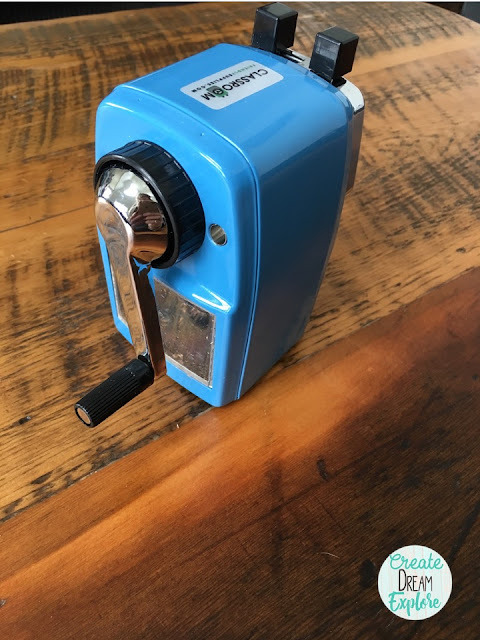 It's a company run by a teacher so they know how important a good sharpener is in the classroom. 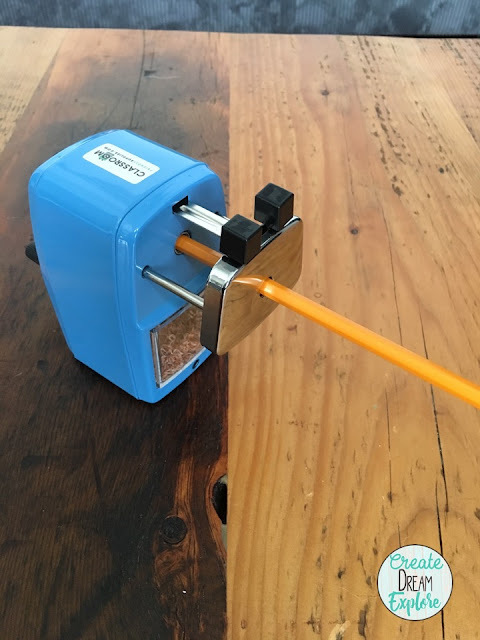 I highly recommend this sharpener. 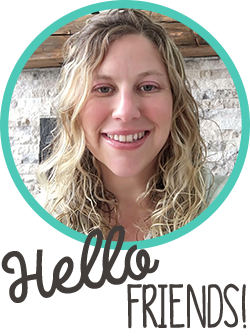 You can check out my video of how it work.